The big 30 for the Co-Opticast, and what do we have? 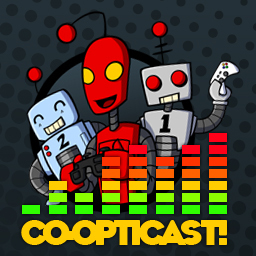 A jam packed 50 minute episode with dozens of co-op news stories, a Borderlands review, and lots of other goodies that'll tickle that special spot. In fact, by my count we cover over 25 different games in this episode. Sit down, buckle up, and get ready to be Co-Opticasted. Page created in 0.0132 seconds.